Doubtless you've seen those internet memes on redneck solutions. Reader Michael sent the following photo illustrating somebody's resourcefulness in using up old tires. Hmmmmm -- redneck seating -- the possibilities are endless! You have plenty of parts - are you going to try it? 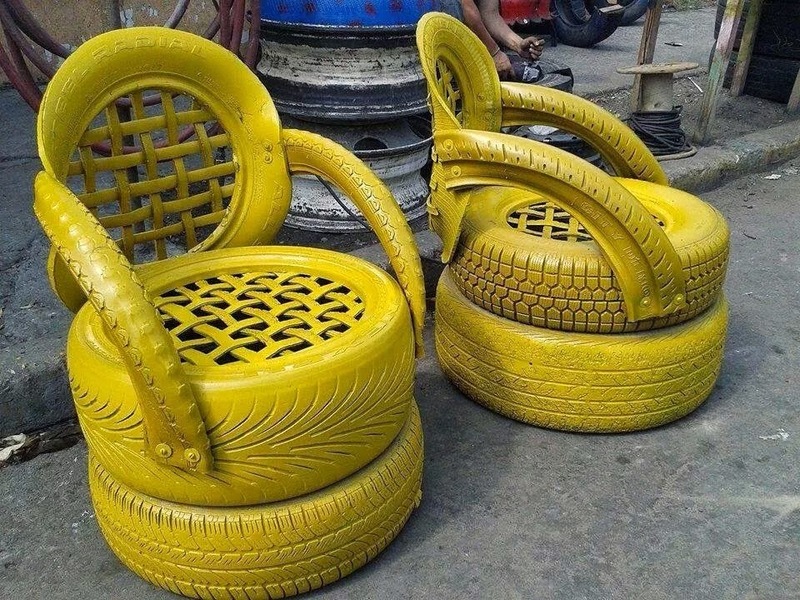 With bigger tires you could try a loveseat or something like a beanbag chair. Of course, that would require the mythical creation known as "free time" that we all know you don't have! Cute as heck and a great idea. ...although they do look they have the potential to be a mite spidery and snakey, depending on where one lives. Does anyone know how the thatched part is a fixed to the back and seat? I can not see that we'll enough and I would love to make these! !